It is important to remember that an emergency can happen at any time. Most incidents are relatively minor, but it is still prudent to take steps to prepare. For the most part, huge emergencies can be prevented or mitigated with a little foresight. Most of the things you can do to prepare yourself are simple and don't take a lot of time or money. First, you need to make sure you have a plan. Whether you are in a single-person home or an apartment building, you will want to make note of the exits. Is there a fire escape? If not, how would you get out of one of the upper floors if there were an emergency. What would you do if the main exits were blocked? Take note of any additional exits or a window that can be safely accessed in an emergency. Next, you should take inventory of the potential risks that are in your area. Are tornadoes common? Do you live in a flood zone? Are you below ground, where water damage is more prone to happen? Knowing what could potentially happen is an important step to keeping yourself safe. Naturally, it is impossible to prepare for every possible instance that may occur, but you can also take more broad steps to keep yourself prepared. Keep your important documents in a safe place, preferably in a waterproof and fireproof case. You should make a copy of your passport and keep it in a safe place in case there is damage to your documentation. It will make it easier to get a replacement passport if necessary. 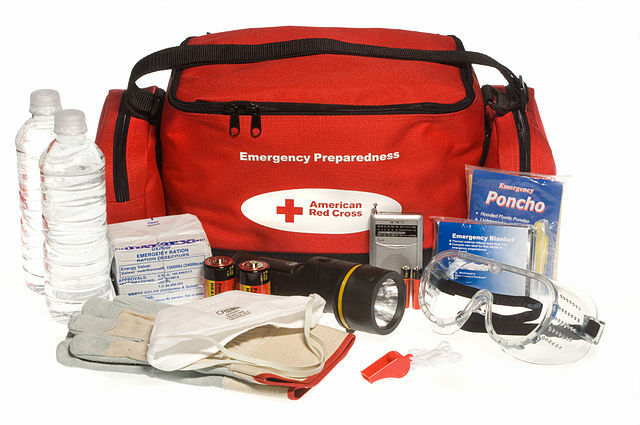 Knowing how to contact emergency response professionals can be life saving in an emergency. In the United States, the emergency helpline is 9-1-1. You should also make sure to find out and save the phone number for your local hospital and police precinct. You should also learn the Fire Department's contact information, as they can send medical assistance, too, if an ambulance is unable to reach you. Know how to reach out to your friends and loved ones. For a widespread emergency, it will be good to know that others are safe and secure. Too often, we rely on cell phones to remember the phone numbers for us. You never know when a cell phone battery can run out of power or get damaged. Memorize some key phone numbers (parents or employers for example). If you live with others, establish a predetermined place in case you get separated during an evacuation. Know where the safety zones are in your area. Are there underground bunkers, or city-run evacuation zones and shelters? Your employer will likely have an emergency procedure at your place of employment. Please consult with your supervisors about the procedures for your company if you do not already know them. As a Career Training USA participant, you have accident and sickness insurance that will cover you in case you are hurt, but did you know it is also possible to get insurance if you are renting an apartment? It is called Renters' Insurance, and it is fairly inexpensive. If you have expensive equipment, for example, your renters' insurance will cover your personal property. You may also be covered in case of burglary or fire damage. Further, many policies will cover the loss of your personal property outside of your apartment. For example, if your bike is stolen or if an airline loses your luggage, many renters' insurance plans will provide some sort of reimbursement. Finally, being alert to what is going on around you will go a long way to keeping you safe. Follow your local news and weather reports for warning signs or news reports of a large storm, fires, tornadoes, etc. Pay attention if you hear a smoke alarm or carbon monoxide detector in your building or sirens nearby. Take note of whether there is a large commotion in the streets or lots of people on the move to determine whether you should be getting out and moving to safety as well. If you smell gas or see a leak that looks dangerous, you do not want to ignore it. If you are in a building, seek out a maintenance person. In a private residence, or in person, the best thing you can do is distance yourself from the area until it is deemed safe. The point is to trust your senses. If you suspect something is wrong, you may be right. And more importantly, ALWAYS follow any evacuation orders issued for your city, and learn and follow all safety and emergency protocols issued by your host employer and local government officials. Your safety is our highest concern, and with a little preparation and awareness, your time in the U.S. will be fun AND safe!